Love Pizza Hut? This Pizza Hut crust recipe is a simple, and delicious best pizza dough recipe for a fraction of the price of the real thing! 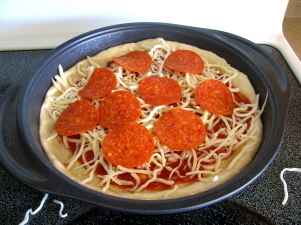 I have fond memories of going to Pizza Hut as a kid and getting my own pepperoni pan pizza. When I came across this crust recipe, I was curious to see if it was close to the real thing. I have to say, I was pretty impressed. Obviously, it's not the real thing, but for homemade pizza dough, I was very happy with the taste, and so was my husband - who is a die-hard Pizza Hut fan. 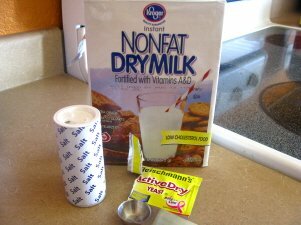 Combine yeast, sugar, salt and dry milk in a large bowl (I used my Kitchen Aid mixer bowl). Add water and stir. Allow this to sit for about 2 minutes. 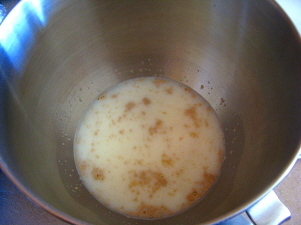 Add oil and stir again. 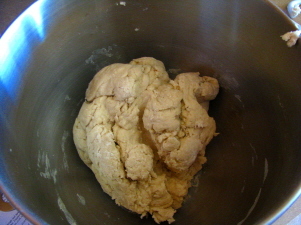 Then add flour and stir until dough forms. I used the bread hook on my Kitchen Aid mixer. Put on a flat, floured surface and knead by hand for about 10 minutes, or continue to knead using your dough hook on the mixer. 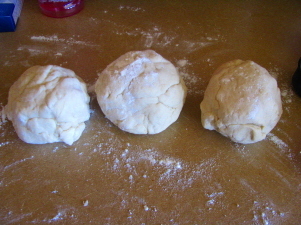 Now, divide the dough into 3 balls. 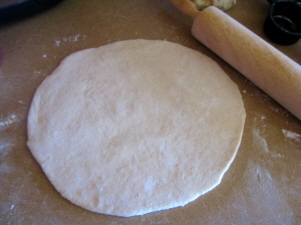 Using a rolling pin, roll out each ball of dough into a 9" circle. (I only have two cake pans, so I only did two and put the 3rd in the freezer for later). Pour a little vegetable oil or olive oil into your cake pans and spread it around with a paper towel so the bottom and sides of the pans are covered. 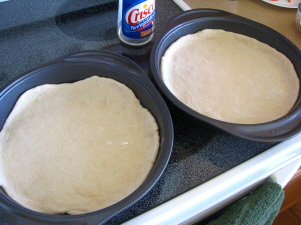 Place your dough in the cake pans. 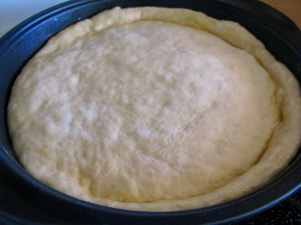 Spray the outer edges of the dough with Pam. You can use butter-flavored Pam, or I just melted butter and used a pastry brush to spread it over the edges. Note: I recommend spreading melted butter all over the crust, not just the edges to give it a little more flavor. This is optional. 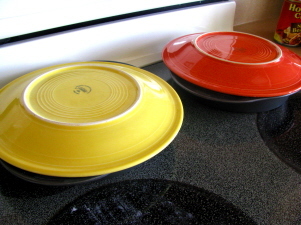 Cover the pans with plates and let them sit in a warm area for about 1-1/2 hours. 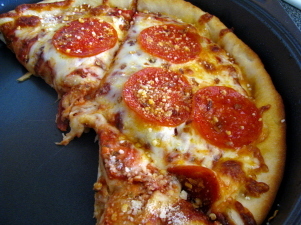 Now spread your pizza hut sauce recipe (about 1/3 to 1/2 of a cup) on top and add your cheese and other toppings. Bake until the edges turn brown and cheese bubbles. I baked mine for about 9 to 10 minutes. To make it extra Pizza Hut-ish, I added red pepper flakes and parmesan cheese on top. While not as greasy as the real thing, it was a good pizza. I would definitely use this pizza hut crust recipe again for family and friends. Give this Pizza Hut crust recipe a try and tell us what you think or share your own pizza dough recipes below!